Thank you to Cute as a Button by Amy for providing me with product, in exchange for my honest review. All thoughts and opinions shared are my own. My little cutie is gearing up for her first Christmas and New Year's celebrations. I am so excited to experience these firsts with her. We've been in desperate need of some holiday cheer in our family, after our unexpected loss, and terrible illnesses for both of the kiddos. Nothing lifts my spirits quite like seeing my babies smile. Baby S is certainly like her momma in that she loves pretty things. S is drawn to things that sparkle, pretty patterns, and everything cute! Speaking of cute... if you love cute accessories for your little girl, you're going to love what I have to show you! I recently came across Cute as a Button by Amy on Etsy. I am always in search of adorable baby headbands and accessories, and Amy's handiwork is adorable! Amy is a talented, kind-hearted Christian woman, who has a knack for making sweet headbands, hair bows, and clips. Amy and I conversed and found that we actually have a lot in common, particularly our love for the Lord, and leading worship through music. I was excited to partner with Amy for our Holiday Gift Guide, and couldn't wait to see the cute items she decided to send to us. Beautiful headbands for Baby S from Cute as a Button by Amy. All of Amy's headbands and bows are cute, but she wanted to share some of her best selling pieces with us. She sent us a nice box of three items. Two baby crown headbands, and a hard headband with a beautiful flower on it. I couldn't wait to see Baby S in these adorable headbands! Lately, S has been ripping headbands off of her head, so I was a little worried that she might protest when I put these cuties on her, but to my surprise... she left them alone! In fact, she wore them for quite a long time, before pulling at them. Baby S, modeling one of the Baby Crown Headbands. Another gorgeous baby crown headband with hearts on the band! These sparkly headbands are just perfect for my princess! I adore this headband! It is so sweet, and sparkly! I thought it was the perfect addition to S' little sparkly JOY shirt. I shared this photo on Facebook, and our friends went crazy over the bow. 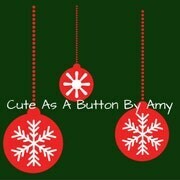 I was so excited to share that it came from Cute as a Button by Amy. All of my mommy friends were asking about it. It's so cute- it's a really cute photo prop, or super adorable for a party or special occasion. 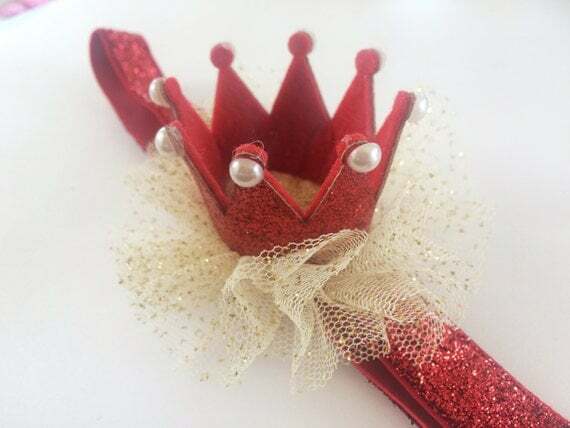 I thought the second crown headband would be fun for S to wear for New Year's Eve, or even to save it for Valentine's Day, since the band has little hearts all over it! They'd also be perfect for her upcoming 1st birthday in April! The bands are stretchy and not too tight for little ones' delicate skin. S really loves this particular headband. She loves to hold it and look at it, and I love to see my little princess wearing it. 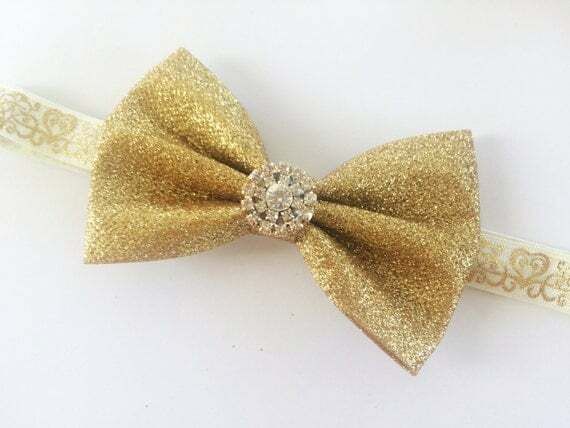 Suitable for your little princess is this silver and gold sparkle crown headband. 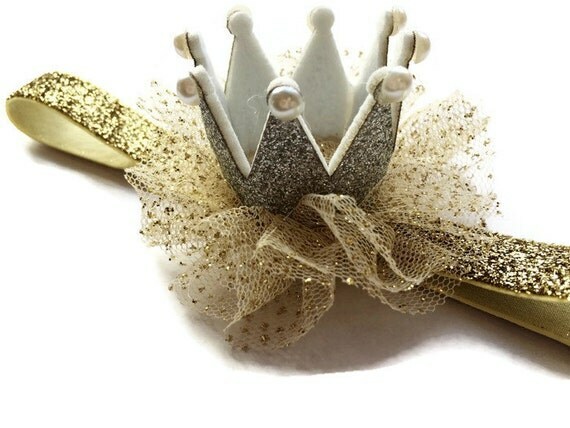 This is absolutely adorable and I love the gold glitter velvet elastic that this crown sits on. It is too sweet and would be a darling photography prop for a newborn and a perfect accessory for a princess themed birthday party. A sweet hard headband with a delicate flower, to adorn S' head. The hard headband that Amy sent is also adorably sweet. S has a harder time leaving this one on, mainly because she isn't really used to wearing hard headbands just yet. I have a feeling that over time, she'll be just fine with it. The band is thin, with a gorgeous coordinating flower. Since this headband is neutral, it's perfect to go with so many outfits. It's great for everyday wear, or special occasions. S has a cute grey dress for church that I hope to pair this with. It's an ivory color, so it'll look lovely with the grey and pink in the dress. Amy has an incredible selection of Hard headbands in her shop. They are all adorable, and priced very nicely, as well. 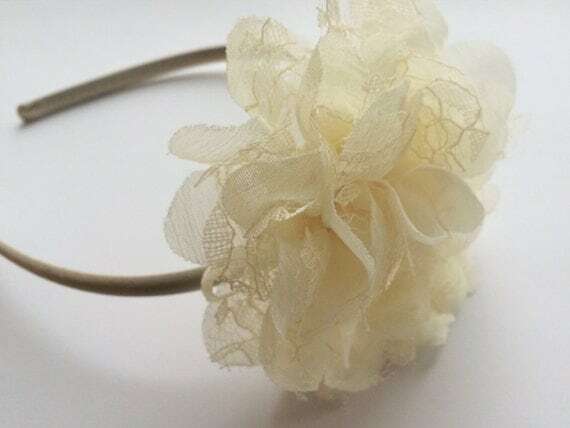 The headband is 7mm and the flower on top is a beautiful lace and chiffon and measures 4 inches. This would be sweet for a little flower girl. My husband says that I have a headband addiction, and I would agree. They are just so cute, and I love being able to dress my sweet little lady up in them. I am so glad to have these beautiful headbands from Cute as a Button by Amy, and cannot wait to become a regular customer. Amy's work is so beautiful, and her prices are really wonderful. With so many upcoming holidays after the new year, I'll need to purchase some special headbands for my little girl. 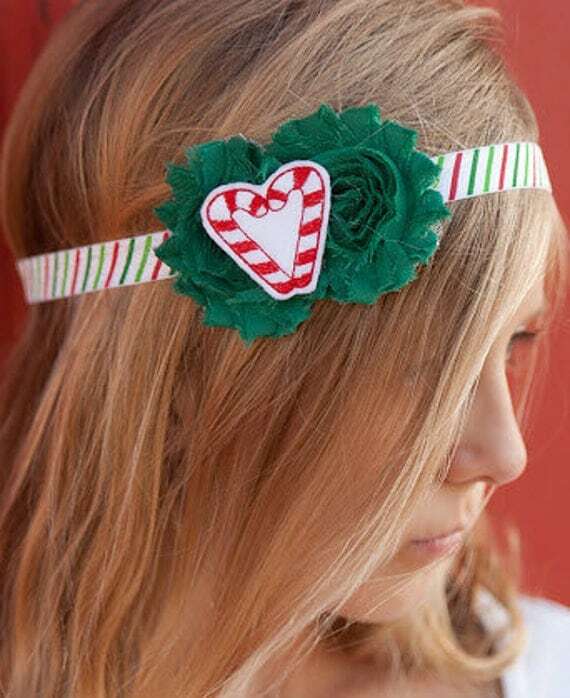 If you're looking for sweet Christmas or holiday headbands for your little love, you'll definitely want to check out Cute as a Button by Amy! Headbands make sweet gifts, and great stocking stuffers, too! This will give 25% off any order and the coupon expires Dec.31. Contact Amy through Etsy to ask her a question or to place a custom order. 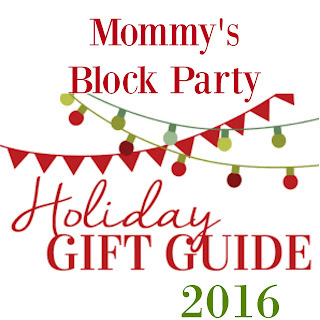 Special thanks to Amy for allowing me to share about her adorable Headbands this holiday season! 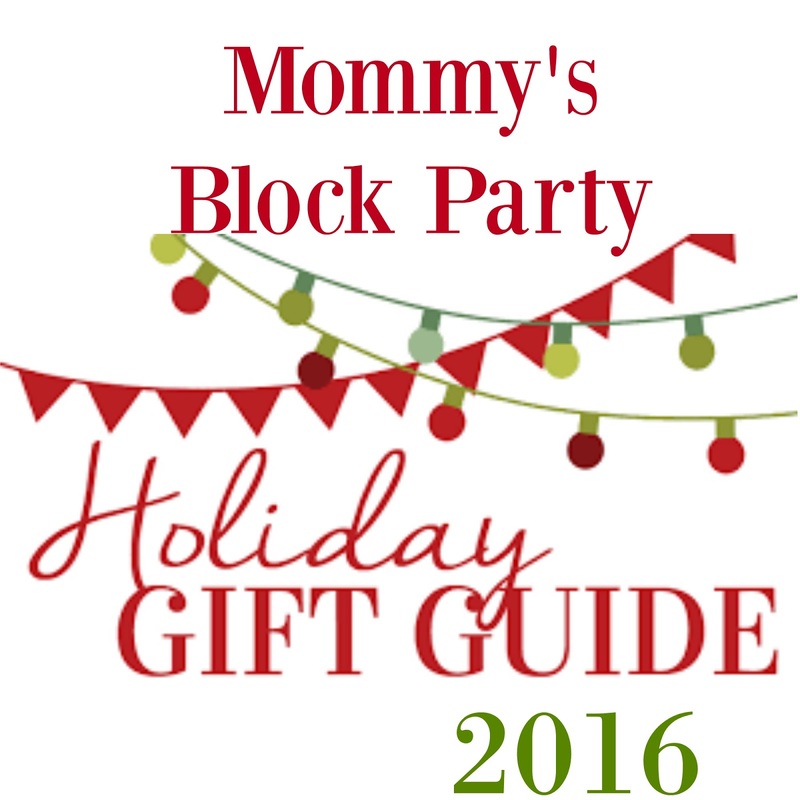 Look for Cute as a Button by Amy in our 2016 Holiday Gift Guide! These are so cute! I love the snowman headband! I'll have to look into these for my niece!